High top sneaker with suede and calf leather upper. Lace-up tie closure connected through unreinforced eyelets with a single reinforced eyelet at the top. Burberry brand logo detailed at the center of the tongue. 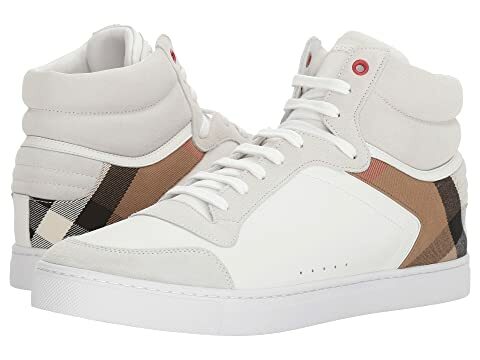 We can't currently find any similar items for the Reeth House Check High Top Sneaker by Burberry. Sorry!